November is a month to be thankful for all that we are blessed with throughout the year. Early in the month, on Veteran’s Day, we thank those who have served our country and now at the end of the month we celebrate Thanksgiving, a day set-aside for us to give thanks for what we have. I think it’s safe to say that often times we forget to take the time to express our gratitude and give back to others. However, many of our Kinseth hotel properties have been able to express their thanksgiving through their actions, by giving back to their communities, throughout this year. Sometimes giving back and paying it forward just makes sense. It did for General Manager Rob Wartella of the Country Inn and Suites, Middle Wisconsin who participated as a sponsor for the Wounded Warriors Project, by donating hotel rooms, and free breakfast for the Wounded Warrior Weekend. The memorable weekend was delivered to recognize 20 retired soldiers of the U.S. armed services, and their guests. After the weekend Rob received this touching note. I greatly appreciate the support that you have given to veterans, especially the Wounded Warrior Project. During our stay while attending the Wisconsin Badger Basketball game, it came to light of your generous donations of rooms, to us veterans. This is an act of kindness that is extremely charitable. Many veterans did not have the financial ability, this generosity will be remembered by many of them. I personally would like to thank you for the great stay and a once in a lifetime experience that you were part of." Turns out, the old adage "It is better to give than to receive" is tried and true. Kinseth Hospitality Companies believes giving back to the community just plain feels good. Which is why our company as a whole decided to participate in a larger fundraising campaign lead by the President of Kinseth Hospitality Companies, Les Kinseth, and his daughter, Ashley Kinseth, who started the KiliMaji Project. The project helped raise awareness and funds for a Charity Water Campaign, which brings clean, fresh water to those around the world. All of our Kinseth Hospitality hotel properties joined forces to help the cause. With the hotels support the Charity Water Campaign for KiliMaji project was able to raise $19,000 and provide water solutions to nearly 400 people in need. The efforts to give back didn’t end at the corporate level, Holiday Inn Bloomington, Minnesota, Hyatt House Minot, North Dakota, Best Western Holiday Lodge, Holiday Inn Council Bluffs, Iowa, and the Hampton Inn of Council Bluffs, Iowa, all took it upon themselves to continue serving their communities and those in need. The Holiday Inn Bloomington, Minnesota raised nearly $800 for the charity Give Kids The World by selling Hope Circles at the front desk of the hotel this fall. They were able to help children and their families who are suffering from illness this holiday season. While celebrating their 1 Year Anniversary, the Hyatt House of Minot, North Dakota staff, and event attendees were able to raise $1000 to present to the Domestic Violence Center of Minot. Best Western Holiday Lodge in Clear Lake, Iowa doesn’t just offer contributions to those less fortunate during the holiday seasons. All year round they take the time to donate all of the partially used shampoo bottles, soaps, and other toiletries to the Global Soap Project. The Holiday Inn & Suites, Hampton Inn, and Main Event Catering of Council Bluffs, Iowa are currently holding a CAN-DO Canned Food and Toy Drive, to help those who are less fortunate this holiday season. If you’re located in Omaha, Nebraska, Council Bluffs, Iowa, or the surrounding areas, feel free to stop by either of the hotels and drop off a donation. They will be accepting non-perishable canned goods and children’s toys until December 22, 2014 that will be donated to the New Visions Homeless Services/MOHMS Place. “We decided to choose New Visions Homeless Services/MOHMS Place (Messenger’s Of Hope Ministries) because they provide warm meals to those in need every day of the year, and they are hosting a Christmas Party for homeless families. It just seemed like a great place for us to give back, especially during the holiday season.” Stated Jessica Vanderpool, Sales Manager of the Holiday Inn & Suites, Council Bluffs. This holiday season Kinseth Hospitality Companies encourages you to take the time to be thankful for what you have and give back to those who are in need this holiday season and throughout the year! Find out more about Kinseth Hospitality Companies and what our company is doing throughout the entire year to give back to our local communities, and help protect the environment. The day after Thanksgiving, most commonly known as Black Friday, is the day that many retailers have coined as the beginning of the holiday shopping season. Despite the large amount of Christmas decorations showing up in stores immediately following Halloween, most retailers continue to obey the unwritten rule of lying low until after Thanksgiving to aggressively sell for the holidays. 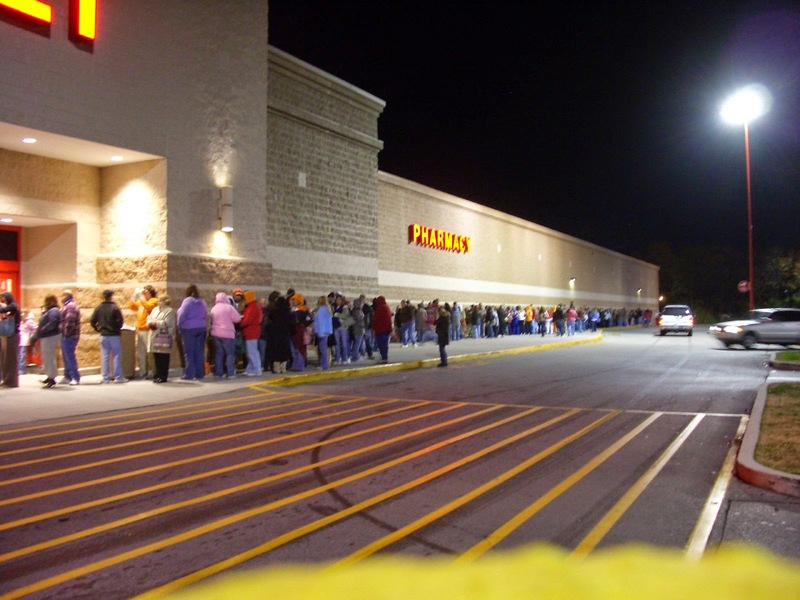 However, each year more and more retail stores are beginning to open up their Black Friday sales earlier or extending them to later in the week. Our Kinseth hotels are getting in on the action, but we don’t need Christmas decorations or Black Friday to give us the signal to advertise a savings. We do this every year! I will tell you how to get these special holiday travel deals at our hotels in just a bit. First, picture this . . . instead of driving around like a lunatic in the wee hours of Black Friday morning, high on caffeine, looking for that next bargain; you’re staying in one of our posh hotel rooms tucked into one of our warm cozy beds, enjoying free breakfast, and sipping your coffee floating on a cloud of zen, while browsing the net to do your shopping . . .
Not convinced? Did you know the word Black has been used in the past to describe many disastrous financial turns? The market fell on Black Tuesday, October 29,1929 signaling the start of the Great Depression. Black Monday, October 19, 1987 was used to describe the largest one-day drop in stock market history. There are several ideas behind how Black Friday got its name. One thought is that Black Friday is that day that many retailers use to boost their sales enough to get them back in the Black financially. But the fact is most retailers don’t need Black Friday to turn an annual profit. The items they are selling are not at the lowest prices they've been all year. These items have been on sale in the past, and are usually items the retailer doesn't want to have to ship back to the warehouse at the end of the season. Ouch! Ask yourself the following questions when standing in line to purchase those must have items. Do I really want to be wearing some unpopular seasonal leftover? Am I just buying cheap items, at cheap prices? Electronics get especially hairy. Be sure to do your homework because really good quality new release electronics are not usually deeply discounted, if at all. Here’s a little secret, Black Friday is not the biggest shopping day of the year, in terms of dollars, it just happens to be the day you see the most people in one space. Some people’s shopping skills thrive on this little rush. The biggest shopping days in terms of dollars spent actually happen in the weeks right before Christmas. Most retailers offer similar bargains online and many have free shipping so you don’t have to throw yourself into the masses. Find your favorite store online and compare discounts. The best Black Friday deals you will find on foot, for luxury clothing tend to be at the outlet malls. Non-luxury clothing retailers often allow a 50% savings or more in traditional malls. One of the best items to buy on Black Friday are movies and video games. These are deeply discounted, and often times it is cheaper to buy a boxed set than it is to pay for streaming. If you must venture out (because you already know you will) it will be good to have a road map and a plan. Kinseth has a few hotels located next to some of the best malls in America, and like I said before, ALL of our Kinseth hotels are offering discounts, not just for Black Friday but for the ENTIRE holiday season starting from November 15th through January, 31st. 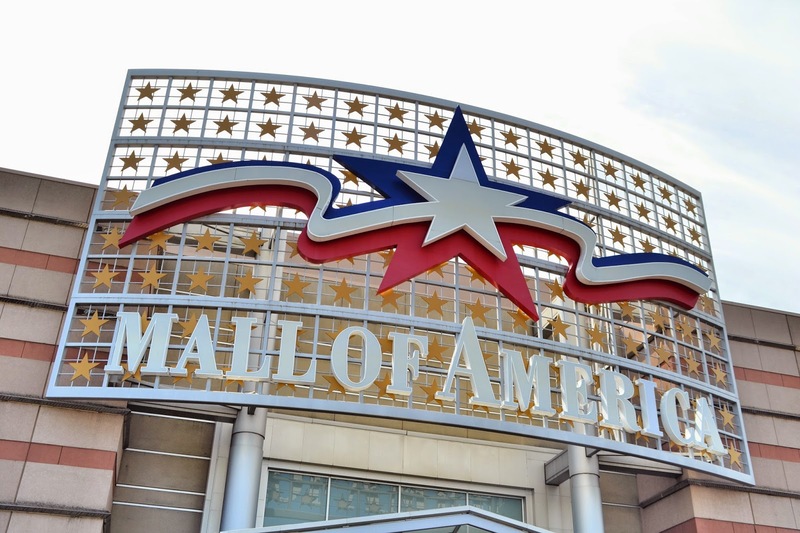 Below is a list of popular malls and the nearest Kinseth Hotels. *Holiday mall hours may vary so please check their websites for more information. So how can you book that super holiday hotel discount? Hop on over to our portfolio page (www.kinseth.com/portfolio) and look at all of our hotel properties, so you can plan your vacation. Kinseth Hospitality Companies has over 75 different hotels from just about every brand family! Book your hotel at an amazing savings! *Blackout dates do apply. Each hotel has designated their own rate special specific to their hotel. That’s it! It’s that simple to save big on hotel rooms this holiday season! We hope you take advantage of our hotels offering this amazing deal! Kinseth Hospitality is a leading midwest hotel management, development and ownership company. Kinseth has a proven track record of developing and operating award-winning hotels, restaurants and meeting facilities. Kinseth Hospitality is based in North Liberty, Iowa. For more information regarding KHC please contact our Corporate Sales and Marketing Team at 319-626-5600 or visit www.kinseth.com.